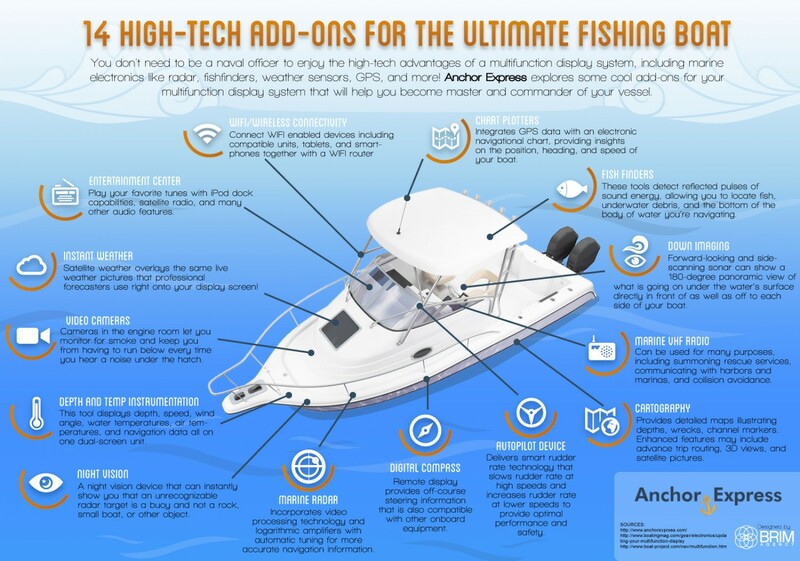 You don't need to be a naval office to enjoy the hight-tech advantages of a mulifuction display system, including marine electronics like radar, fishfinders, weather sensors, GPS, and more! Anchor Express explores some cool add-ons for your multifunction display system that will help you become master and commander of your vessel! NEW PRODUCT LINE! GROCO Marine Plumbing Products! REBATE! Get up to $150 Back on Cannon Downriggers!